HP is an acronym of Hewlett-Packard Company setup in 1939 by David Packard and Bill Hewlett. It is multinational information technology organization and is headquartered in Palo Alto, California. It offers products to small, medium and large sized businesses. Product lines include software, technologies, services and solutions. It has strong services as well as consulting businesses around its own and partner products. The company has around 331,800 employees according to 2012 report. Meg Whitman is President and CEO of the company and Raymond J. Lane is executive chairman of the organization. 2012 report stated that the company had generated revenue of $120.357 billion. There are currently 1 consumer reviews about HP available. Share your review. I am on hold right now with your tech support for the 3rd time this evening. The boy put me on hold and I have been on hold for over 40 minutes now. He clicks on to see if I am still on and immediately click out. He was suppose to see who I had spoken to prior to him but has not come back on yet. The first two technicians did not help at all. I will be calling my credit union to dispute this support charge because I am not going to pay for something I did receive. 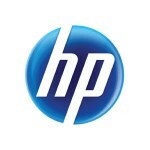 Please take a note that you are about to post a public review about HP corporate office on CorporateOffice.com. This review will be public, so please do not post any of your personal information on this website. If you would like to contact the corporate offices of HP, please use their contact information such as their phone number, website, and address listed above to contact them. However, sometimes staff from HP headquarters do read the reviews on this website.